Barn Fresh Vintage Market isn’t a single antique shop. It’s more like 30 antique shops nestled under one roof. The Berner family, who owns and runs the market, invites 33 vendors to sell their one-of-a-kind items in the store. So the inventory is reminiscent of the flea market pieces and auctioned-off items that the Berners adore. Make the short trip from Perkiomen Place Apartments to Barn Fresh Vintage Market to explore the array of unique pieces. It stocks vintage items that date back to at least the ‘80s, as well as upcycled furniture, home decor, and Pinterest-inspired projects. 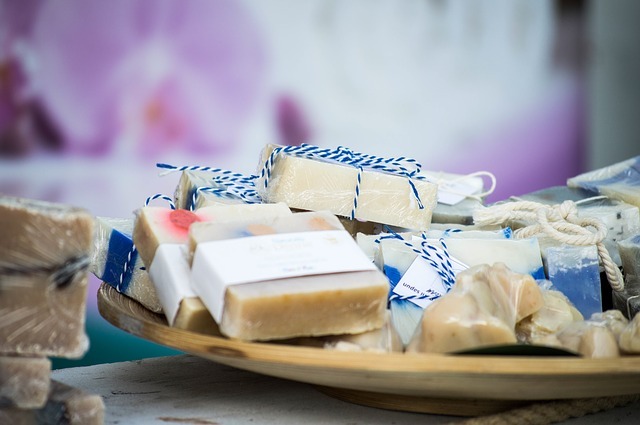 In addition to the secondhand inventory, Barn Fresh also promises some artisan-crafted goods, such as Sallyeander Soaps, Caromal Colours Paints, and Mona B Bags. Get a jumpstart on your holiday shopping and check out the eclectic inventory at the local co-op. Move into your new apartment with comfort and satisfaction. When you choose to live at any of our communities you’ll have thirty days to make sure you feel at home, otherwise, you’re free to move on. We’ll make sure you are happy. Managing over-priced and over-leveraged properties required them to implement operating procedures and disciplines that would maximize cash flow. Jim and Steve focused on maximizing curb appeal, leasing apartments, and rent collection with a zero tolerance for delinquency. It was common for them to file 30 landlord/tenant eviction actions each month, which was quite substantial considering the number of apartments the Company owned. They had always stayed steadfast to their underwriting criteria and collection practices in order to prevent delinquency, and more importantly, maintain an apartment community that would be safe and comfortable for all residents. Their ideals were the foundations of BRC’s current Fundamentals, which guide all of the decisions made today. In an effort to increase cash flow as rapidly as possible, all efforts were directed towards revenue related activities. Steve’s responsibilities were initially focused on the administration and the accounting side of the company while Jim’s focus was on leasing and collections. There was no need to focus on capital expenditures as there were none planned. Day to day maintenance was more or less delegated to on-site personnel. The mentality was that it took far more effort to reduce a repair cost than to rent an apartment. They defined the company as a revenue-focused company which directed maximum efforts to generate revenue. Our real estate agent network can help you. Should you feel ready for home ownership you can take advantage of our preferred agent partnerships for an easy, convenient transition at any point in your residency with us. We’ll miss you. Sometimes unpredictable things happen. When you’re faced with life events such as job changes, medical conditions, or military service you can rely on our flexibility to make your big decisions easier. We’re here for you. Your housing needs may change, but we’ll always be there for you. When the time comes to upsize, downsize, or relocate to a new area, you can easily continue to call Berger home whether you’re transferring to a different apartment or another one of our communities. We’ll find the right home for you. In 2008, the corporate office was moved from Norris Hills to a commercial office building in Wayne, Pa. From 2008-2013, the Company expanded in Pa with acquisitions of The Commons at Mansfield in Mansfield, The Lofts, and The Residences at Ribbon Place in York, Highland Manor and 25 North Apartments in Pottstown, Walton Heights Apartments in Altoona, Norris Hills East in Norristown, Lakeview Apartments Williamsport, and Forest Manor Apartments in West Chester. These properties were purchased with substantially more cash than required in the past as the multi-family market had become highly competitive. From a cash flow standpoint, they shifted their focus to building significant capital improvement reserves to ensure that the capital needs of the communities would be met for the long term so that the assets would remain profitable and stable. During this period BRC began to establish a niche, owning and managing apartment communities in the secondary and tertiary markets of Pennsylvania. There was far less competition to purchase communities in these rural locations, and the players in these markets were mostly “Mom and Pop” management companies. Since BRC already had regional offices within 90 miles from these sites, the communities strategically fit within the company. They were able to bring professional management and outstanding customer service to these smaller towns. For the first time, BRC began purchasing and managing student apartment communities. They were very excited to break into the student housing industry, as the enrollment at Pa public and private Universities continued to expand while endowments for housing on campus were shrinking. BRC knew that if they were able to better understand the mindset of a college student (including how to market to them, and what they valued most), they may be able to convert them into residents at their conventional apartment communities. Essentially, the student renters of today would become their conventional apartment resident of tomorrow. BRC then intensely focused its attention on building a strong, intentional company culture. The Company was managing 18 different apartment communities and had 19 (including the corporate office) different cultures. To take the company to the next level, BRC felt it was critical to create one unified culture throughout the company and to shift attention to becoming a culture driven company. BRC believes success lies within the team. In 2012 BRC rolled out “The Berger Way”, a set of 21 Fundamentals to live by. They believe by focusing on the culture and team, they will have the ability to continue providing that “Ahhh, home” feeling to all residents. Furthermore, the Company determined that it was committed to long-term growth which would expand the opportunities of its team. In 2013, after restructuring their organization for growth and fine-tuning their third-party management services, Dan and Steve decided it was time to launch a new Division of BRC that would cater specifically to their third-party clients. In July Berger Real Estate Services was launched. Sadly, in January 2001, Jim Berger passed away at the age of 55. This was a difficult time as Jim and Steve had worked so closely for many years, and Jim was very close to many of the Company’s employees. Steve was faced with a very difficult decision to either continue on with the business or sell the real estate. Fortunately, he decided to continue the business. In 2005, Steve’s son Dan Berger, 26, joined the Company. Dan had his JD and MBA degrees from Temple University in Philadelphia, Pa, and was at the point in his life that his focus shifted from practicing law towards a career in Real Estate. At the same time Steve’s daughter Cindy Nissen, 23, was wrapping up her Apartment Mystery Shopping business and wanted to focus on property management rather than the evaluation of property management personnel. The focus of the Company’s efforts turned to maximize rental income, as well as cost control and marketing. As the locations of the properties now spanned over a hundred miles, the Company embarked on a management style that fostered delegation of responsibilities and authority. In 2006, they purchased Vairo Village Apartments in State College, Pa. This 410 apartment home community had significant operational challenges and required a much time and capital investment. Within one year though, the property that was previously sinking in losses became another profitable venture because of BRC’s style of management, and their willingness to adopt more sophisticated operating process. Until this time, with a few exceptions, the company’s offices were always situated in close proximity to the apartment communities, so that they could provide hands-on management. All Property Managers previously reported directly to the corporate offices; however, with the planned growth of the company in terms of the number of apartments, properties, and the expansion of the operating territory, this became very challenging. They did not want to jeopardize the hands-on approach that proved so successful in the past. In addition, this structure made it difficult to grow as they had limited bandwidth. Shortly after the purchase of Vairo Village, BRC determined it was time to restructure the organization in order to allow for additional growth and to bring a new level of expertise to the organization. They moved to a regional structure by dividing the portfolio into three regions (West Chester, Montgomery/Lancaster County, and State College). This new structure would provide more bandwidth for growth, and allow additional training and expertise to our communities. By 1980, several local banks and syndicators had witnessed the company’s success in challenging markets and offered the BRC the opportunity to purchase apartment communities that were in default or on the verge of default. These properties were located in suburban Philadelphia and offered a much greater upside than they had experienced in previous ventures. Despite being in better locations, many of the problems these properties faced were similar to that witnessed in prior acquisitions. As such, the same basic operating procedures continued to be used in order to achieve success. By 1986 they purchased Highland Manor Apartments in Kenilworth, Pa; Goshen Manor, Goshen Terrace, and Audubon Manor Apartments in West Chester, Pa; Douglas Court in Stowe, Pa; Royersford Gardens in Royersford, Pa; and Perkiomen Place Apartments in Pennsburg, Pa. They had also sold all properties located in the City of Philadelphia. After having acquired Goshen Terrace, which was now the largest property they owned, Steve and Jim realized that their personal efforts would be best utilized if they were to work out of the Goshen Terrace offices. It also provided them with the opportunity to empower the corporate office team, which now comprised of five employees, to take on more responsibility. In 1989, they had the capital to purchase Toftrees Apartments, in State College, Pa. Toftrees, at 541 apartments, was the largest property they owned and represented the first significant cash investment the company had ever made. In addition, this was the first property outside the Greater Philadelphia area, and the first property acquisition that was already stabilized with few deferred maintenance or occupancy issues at the time of acquisition. As such, they thought it was best to let almost all operations continue to be based out of State College. BRC still has a few team members with them today that worked at Toftrees when they purchased the community! Since acquiring Toftrees was so significant, the company slowed down its real estate acquisitions for the next several years. The next acquisition was in 1996 at which time they acquired Miller’s Crossing Apartments in Millersville, Pa. This acquisition was similar to those from the earlier years, in that it was a distressed asset, and was purchased with a substantial amount of debt. BRC then intensely focused its attention on building a strong, intentional company culture. The Company was managing 18 different apartment communities and had 19 (including the corporate office) different cultures. To take the company to the next level, BRC felt it was critical to create one unified culture throughout the company, and shift attention to becoming a culture driven company. BRC believes success lies within the team. In 2012 BRC rolled out “The Berger Way”, a set of 21 Fundamentals to live by. They believe by focusing on the culture and team, they will have the ability to continue providing that “Ahhh, home” feeling to all residents. Furthermore, the Company determined that iBRC then intensely focused its attention on building a strong, intentional company culture. The Company was managing 18 different apartment communities and had 19 (including the corporate office) different cultures. To take the company to the next level, BRC felt it was critical to create one unified culture throughout the company, and shift attention to becoming a culture driven company. BRC believes success lies within the team. In 2012 BRC rolled out “The Berger Way”, a set of 21 Fundamentals to live by. They believe by focusing on the culture and team, they will have the ability to continue providing that “Ahhh, home” feeling to all residents. Furthermore, the Company determined that it was committed to long term growth which would expand the opportunities of its team. In 2013, after restructuring their organization for growth and fine-tuning their third party management services, Dan and Steve decided it was time to launch a new Division of BRC that would cater specifically to their third party clients. In July Berger Real Estate Services was launched. By the end of 1996, the Company owned and managed 1,700 apartments, but would not acquire any new properties for the next 10 years. In the early years, the apartment communities were in less than desirable neighborhoods. As such, a freshly painted and immaculately cleaned apartment was very marketable. Despite the efforts to provide well-maintained apartments to a community in need of quality housing, the housing activists of the 1970’s targeted BRC, and its competitors. This group coached tenants on techniques to avoid paying rent and tried, on several occasions, to organize rent strikes to paralyze the Company’s operations. Steve and Jim knew they offered a first class product and faced this group head on. Eventually, they prevailed; however, through this struggle, they realized that they had to start moving the operations into better locations and neighborhoods, where such issues were not as prevalent. The challenge was finding the financial resources to acquire properties in more desirable neighborhoods. In 1975, they were struggling to make mortgage payments to an out of town financier and were told to deliver the mortgage payments in person to an office located in Norris Hills Apartments, one the of the financier’s properties in Norristown, Pa. The financier recognized their diligence in making every effort to stay current in the mortgage obligations and appreciated how they dealt with the financial challenges of the property. Because of Steve and Jim’s diligence and sincere effort, the financier agreed to sell Norris Hills to them, financing the purchase with a negligible down payment. Norris Hills was burdened with deferred maintenance and occupancy issues at the time of acquisition. He was the most distressed asset in the Company’s portfolio, but this didn’t stop Jim and Steve from successfully turning it around. By 1980 the company owned and managed slightly over 1,000 apartments in the Philadelphia suburbs. After reflecting on the company’s dealings over the past several years, Steve and Jim saw that if they had better knowledge and expertise to properly analyze and underwrite acquisitions, they would not have purchased some of their existing assets. They often struggled. However, learning from working out the obstacles of turning around a distressed property, they became better and better at managing them with efficiency, and integrity. “We always do the right thing” They recognized the Norris Hills Financier’s right to have the payments received, and did whatever possible to honor this commitment. The only reason they were able to purchase Norris Hills was because of their efforts to stay current with the mortgage on a different asset. It is ironic that opportunities arise when least expected, and by simply doing the right thing, positive results are achieved. “We take ownership” They had every excuse possible not to honor their financing commitment; however, they took ownership of their problems and found solutions to make it work. “We are responsive” Once funds were available to make the required payments, they were hand-delivered to the financier on the same day rather than be delayed any further. Steve Berger co-founded Berger Rental Communities in 1973 and has witnessed the growth of the company from one property in Philadelphia to over 20 properties throughout Pennsylvania and Delaware today. He is proud that the BRC portfolio is now on track to double between now and the company’s 50th anniversary. Originally an accountant by trade, Steve started the company with his brother Jim, a Real Estate Agent. Steve was able to grow the company by establishing strong roots forged by risks taken, relationships built, and lessons learned in the company’s infancy. Steve attributes the company’s success to continually adhering to the same core values, practices and processes in place since the beginning. Currently, Steve works on big picture items for the company such as acquisitions, refinances and special projects. He enjoys helping the company grow not just in size, but in the continued improvement of the relationships with both the business community and the residents of their communities. He also commits much of his time to BRC’s core fundamental of “Giving Back to our Communities” by dedicating time to philanthropic causes. As the founder of a family company, Steve is proud that Berger’s employees act as one big family, and is pleased when he hears stories of the company’s fundamentals having a positive impact both in business and personal situations. He is also proud of the way the company has been able to maintain its core values while at the same time becoming more sophisticated and successfully adapting to new industry technologies. Outside of work, Steve and his wife are very involved in supporting additional charities. He also enjoys the opportunity to travel a lot, both for charitable endeavors and pleasure.